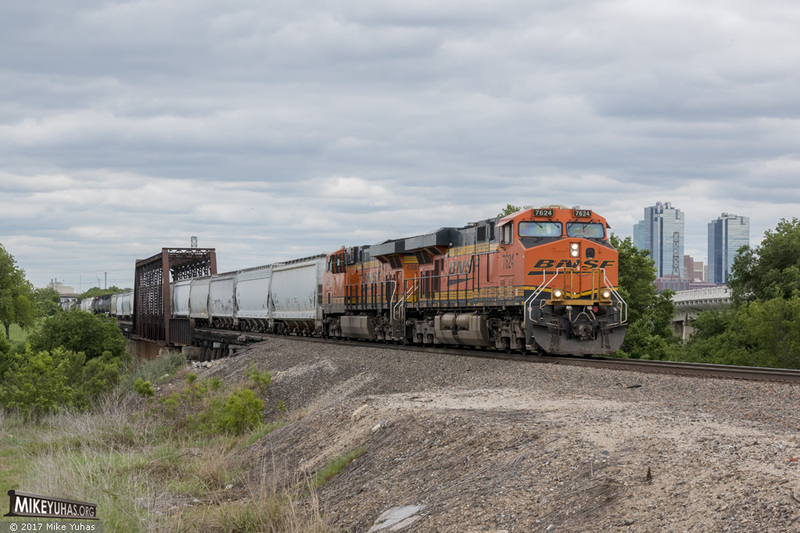 With the Fort Worth skyline behind it, BNSF's H-DYTGAL9-21A train heads north. Train originated at the Dayton plastic storage yard, outside Houston, and is bound for Galesburg, Illinois. Train is crossing the Trinity River.